The PSP video converter is a powerful PSP video conversion software which helps you convert video files to PSP movie (Sony PlayStation Portable MP4 video format, PSP AVC H.264 video), PS3 Video MPEG-4 (480p, 720p, 1080i), and PSP music. PSP Video Converter Factory Pro is capable of converting almost all popular video such as AVI, MP4, DAT, MPG, MPEG, H.264, NSV, VOB, MOV, FLV, MKV, 3GP, 3GP2 to PSP video MP4 format , PSP movie and PS3 Video MPEG-4, all the conversion processes are very easy and fast with high quality. Is a file too large for your digital devices or your PC, simply split it into several files to make it fit for them! 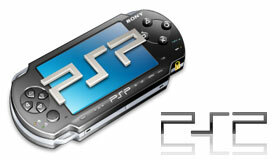 PSP Video Converter Factory Pro - Do the task as your will and make the unimaginable movies yourself! PSP Video Converter Factory Pro supports converting all regular video formats including AVI, MP4, DAT, MPG, MPEG, H.264, NSV, VOB, MOV, FLV, MKV, TS/M2TS/TP/TRP, DV, WMV, ASF,3GP, 3G2, etc to PSP. With powerful and easy to use functions. 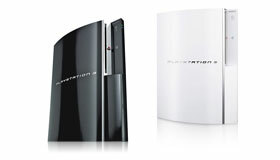 PSP Video Converter Factory Pro also supports converting all regular video formats including AVI, MP4, DAT, MPG, MPEG, H.264, NSV, VOB, MOV, FLV, MKV, TS/M2TS/TP/TRP, DV, WMV, ASF,3GP, 3G2, etc to Sony PS3 Player. Its powerful converting function is always beyond your imagination! Create a picture collection from your movies or fun videos as souvenir/memento, to view and enjoy them with your friends and family at your fingertips. No matter whether you are converting between multivarious video formats, or mutually transforming among MP3, WMA, WAV, RA, M4A, AAC, AC3, MP2, OGG and so on, or extracting any audio format from your video, it can all be done with just a few clicks. Powerful Profile Settings: It consists of two parts, one is video settings, the other is audio settings, and both of them can help you adjust your videos or audios files to individualize your videos or audios. Click the advanced button of PSP Video Converter Factory Pro, the then you can adjust your videos or audios by setting the Resolution, Bit Rate, Encoder, Frame Rate, Aspect Ratio of video setting and Channel, Bit Rate, Encoder, Sample Rate, Volume of audio settings, so you can control your videos or audios quality, size, etc. your digital devices or PC . 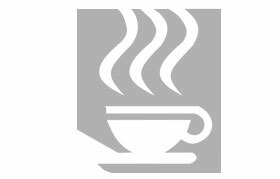 Customize an existing profile and saved it as your own. Determine Output File Size: Compute the output file size precisely with the help of PSP Video Converter Factory Pro's the Bit Rate Calculator. Simple, Quick, Convenient – Give You Convenient Life! 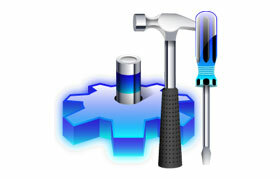 Automatically keeps your software updated with the latest features or you can do it yourself. Run the application in the background to save your system resources. 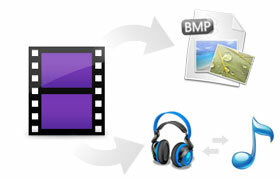 Select a variety of output formats simultaneously for one source, and let the PSP video converter do the rest. Support batch converting, you can convert several files together. "Well, I just want to say that I find a lower price video converter but with good quality, i have used a lot of video converters, nearly all of them are difficult to use, although some of them have good quality. I just do not want to waste my time on converting video files. "